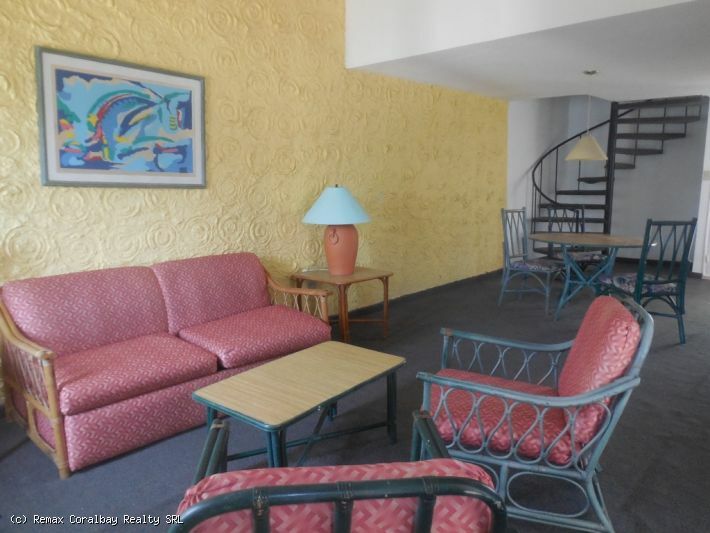 Excellent price for this one bedroom located in a Premier all-inclusive style beachfront complex. Excellent property located in the popular all-inclusive complex of Playa Dorada, Puerto Plata with all the amenities to make your family feel at home. Enjoy the beautiful beach and private beach club, large swimming pool with lifeguard, poolside lounge beds, beach volleyball, etc etc. Come enjoy the full resort lifestyle – all the amenities for a great vacation, but the comfort of your own condo to live in. Contact the listing agent for additional info and photos. 3 bedroom Villa close to the beach ….. Source: 3 bedroom Villa close to the beach ….. Located in a gated community at walking distance to the most popular beach of Cabarete, this tropical Villa has everything you need to enjoy life in the Caribbean … two story villa with great view from the loft balcony … open concept as you walk in, living/dining area, full equipped kitchen, three bedrooms/three bathrooms with air conditioning on the main floor … the top floor (loft) offer a large lounging room that can be used as an office or just a place to enjoy the view and hear the sound of the ocean from the balcony …. the outside is great for entertaining and it is where you will spent most of your time relaxing by the pool or in the covered gazebo … the property is completely fenced for privacy … there is a separate building for storage and pool pump area … covered carport … invertor and 24 hour security …. Front Row Victorian Style Beachfront Bargain! Source: Front Row Victorian Style Beachfront Bargain! Here’s a great one to check out. Just outside of Cabarete and right on the beach, this 2nd floor condo is ready to move into and begin living your tropical dream. Washer/dryer, dishwasher, gas stove with oven, granite, white mahogany cabinets, coral stone wall accents, air conditioning, cedar closets, etc. Spectacular view, fully furnished, great beach right outside your front door – the perfect beachfront condo! Contact the listing agent for additional pictures and info.